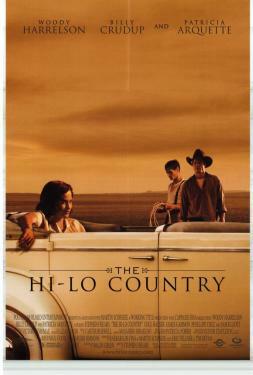 In the prairie town of Hi-Lo, New Mexico, Pete and Big Boy return from World War II to their old way of life: raising cattle and working the land. Able to hold their own with other men, and popular with women, they are masters of the land that they are proud to call home. But Pete has always pined for Mona, who is now married to someone else. Pete resigns himself to this loss, and returns to steady girlfriend Josepha. When he discovers that Mona is having a passionate affair with Big Boy, his desires are reawakened and his friendship put into question. Mona represents everything that Pete yearns for but cannot have.